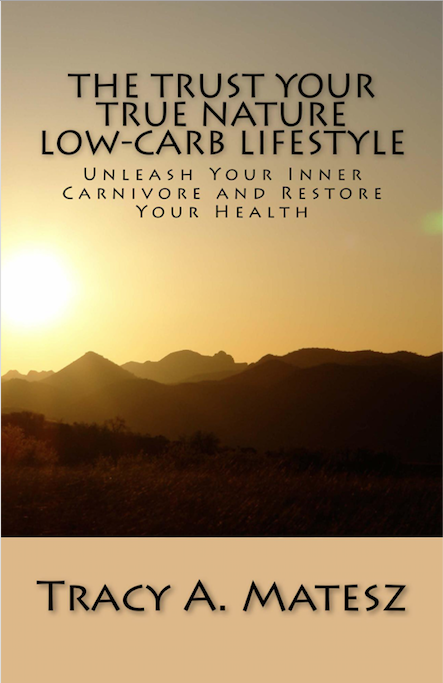 A Keto-Carnivore Diet To Liberate Your Divine Blueprint for Thriving Health! As the temperatures rise, your body will be attempting to self-regulate with changes in what you crave. Will you heed the authentic desires of your body, not just the willful and demanding commands of your mind? Summer fruits and vegetables can be very appealing, precisely when we most can benefit from their cooling and refreshing nature. Cooling cucumbers, fresh tomatoes and luscious berries. Perhaps some juicy melons. 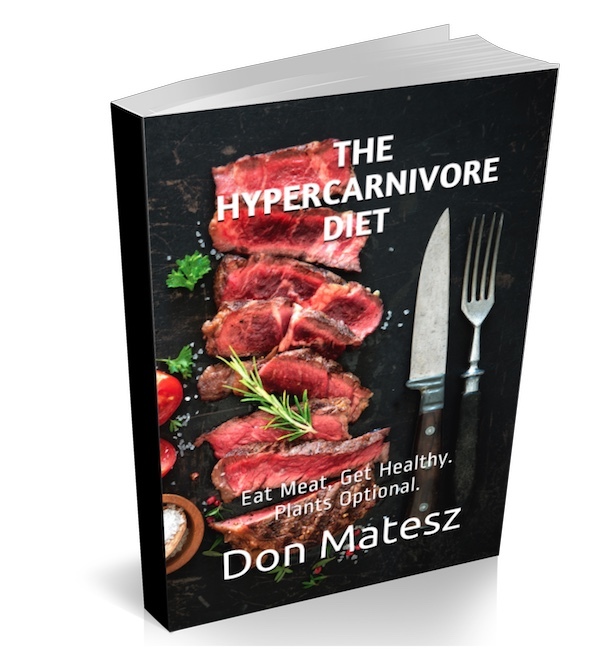 The Hypercarnivore Diet approach is designed to be flexible and adaptable. It is especially designed to help you learn to get in touch with your true body's cravings, and follow your own inner guidance. This can take some trial and error, but what the heck, you have a lifetime to experiment. Consider it a grand adventure ~ to spend every day, every moment, and every choice being in the practice of honoring your innermost desires. It's the practice of being in Mastery of your life, the sovereign 'knower' of what is best for you. But many people prefer to be told what to eat, told what to do. They shun personal accountability and responsibility. They may even prefer ~ at least at a subconscious level ~ to remain sick and disempowered as it serves them in some way. They receive attention, or perhaps a financial reward or handout allowing them to avoid being employed. Ideally, we are all taught and encouraged to be more personally accountable to our actions and deeds, striving for greater personal sovereignty and self-reliance. This produces better moral, boosts confidence, improves health, and improves one's quality of life, and the quality of life of loved ones. It's more cost effective to be more personally accountable to one's needs as well. When you trust your true nature, and eat the foods you are best adapted at eating ~ whole foods, with animal foods taking center stage ~ you will save money in health care, which passes on to the collective as well. The constantly sick or unhealthy individual is in the least a drain on personal and familial resources, but usually more than that. They are a drain on the collective resources. We are talking about those who eat all the junk they desire, without any care or concern about the effects of consuming those foods upon their health. Nor do they consider the amount of trash those foods generate ~ trash that has to go somewhere besides just the ground or nearest trash bin. Landfills are already pretty overflowing with trash that will not decompose for years and years. Nor do they scrutinize the corporations that are profiting from selling you their artificial crap. Who cares, if things get too uncomfortable, there are always plenty of pharmaceuticals to be had, right? Or, if really bad, just surgically remove body parts, no problem. While being very sick can be part of our soul's journey ~ helping us grow through our lessons ~ the ultimate goal is to awaken and break free. Eventually we arrive at the most illuminated path, where greater health and vitality await. Life becomes much more magical and enriched when we are at least striving towards feeling our best. We don't need perfection, but we don't accept rejection of Truth and Natural Law, which is the governing force of Earth and all of her inhabitants. Eat local, seasonal fruits and vegetables as desired and tolerated! Especially focus on those that are grown in a similar climate (temperate versus tropical), and fruits that contain less fructose. So, if you are craving some fresh berries, or more crisp raw salads, enjoy them! It's summer! butter on top if eating a ketogenic diet and wanting to add some fat. to eat again until much later, if at all. The Hypercarnivore diet derives 70%+ of its calories from animal foods. That leaves 30% wiggle room. 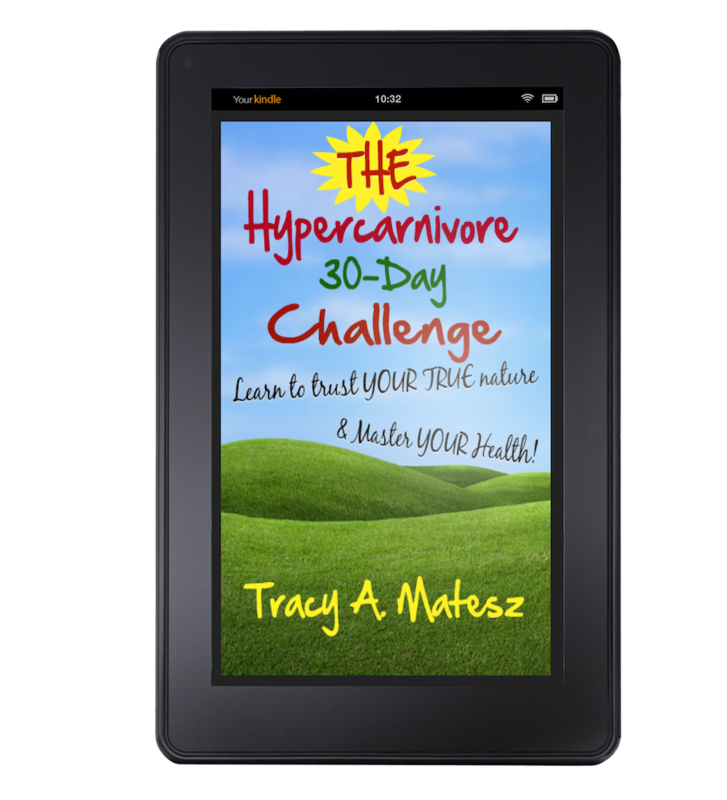 Go all carnivore, or add some fresh fruits and vegetables into your diet if it provides a better balance for you. Ultimately you want to enjoy your life. Sometimes we have to take a break from analyzing every morsel we put into our mouths, and trust that when consumed with a genuine sense of joy, and trust that you ARE being guided intrinsically to the best choices FOR YOU, that ALL will be well. Still make healthy choices. Being free is not the same as being in denial, or self-delusional. The right alignment allows for the right balance of health, simplicity, joy, freedom, and satisfaction. That said, personally, while I start to crave more juicy fruits during the summer, I am still feeling much better keeping the plant foods (and total carbs) to a minimum. I start to feel pretty heavy in my lower stomach, with more bloating and distention when I eat too many fruits or plant foods. I prefer to have naturally fermented pickles or cabbage instead. However, most people want to have some options, and not feel so restricted. In that case, enjoy fruits and vegetables as part of your hypercarnivore diet if they provide balance, pleasure and help you realize your health goals. Avoid getting caught up in dogma and perfectionism. Stay focused on your vision for yourself. See yourself at your ideal weight, or body composition. Feel your muscles getting stronger, and your mind becoming more sharp. Remain fluid and flexible, of body, mind and Spirit. Eat like your ancestors, and primitive populations. Eat what is locally and seasonally available, especially of the more perishable fruits and vegetables. when it is hot outside. Enjoy the refreshing fruits of summer, and shoots and tubers as the days once again shorten ~ only as tolerated and desired for greater balance! Stay smart. Avoid the junk. Eat whole foods, only whole foods, and find your own sweet spot. Low-sugar/fructose fruits are the next best choice, as fruits ARE the part of the plant that the plant itself invites others to eat. Juicy, colorful, with sweet aromas, it is beckoning to attract the right critter to partake of its gifts. Eat, then deposit the seeds please, ensuring a prosperous and perpetual reproduction and evolution. some chicken breast, but otherwise we 'beefed up' on our beef, as the deals were so good! Plants are less thrilled to have it's stalks and leaves eaten, prior to fulfilling its full growth cycle. Hence these parts are bitter, and less visually and appealing. You may find you have a change of cravings of animal proteins too. Maybe fish, including shrimps and seafood that are lighter, but contain more iodine are more appealing. They have been for me. Just in time as we begin to sweat much more, the iodine can help replenish the lost salts, which is important for preventing heat stroke and other conditions from inadequate consumption of sodium and iodine. Given the importance of iodine for the thyroid, which helps with thermal regulation, it is essential to get adequate intakes of both iodine and sodium, for this and many other reasons. mustard are good combined as well. Perfectly grilled steaks are always a favorite. We just always feel best eating mostly beef! Applegate grass-fed, uncured beef hotdogs are great grilled. What do you start to naturally crave as the days get longer? Fresh berries? Watermelon? Cucumbers? Home grown tomatoes? We've had some fresh cucumber, tomato and avocado salads recently, but sadly, no pictures! I know I really had a marked change in my cravings, preferring to have leaner steaks rather than fattier brisket. Chicken breast is more appealing, as is shrimp cocktail. Loving shrimp cocktail as an appetizer! Salmon and fish in general is also appealing to me this time of year. Would give for some fresh local trout! Probably my favorite fish. Or close. I also quite enjoy the sweet, mild white fish having grown up near the Great Lakes. Do your animal protein preferences change? Do you prefer more leaner meats, less fatty and rich meats like brisket? Or does the desire to grill outdoors become MUCH more appealing, to avoid heating up the kitchen! Quick foods, not too hot or heavy. Do share! What provides the best balance for you? Be sure to get adequate salt, especially the more active you are and the hotter it is outdoors! I highly recommend checking out The Salt Fix, Why The Experts Got It All Wrong––and How Eating More Might Save Your Life, by Dr. James DiNicolantonio. Learn How Ketones Can Improve Your Brain & Your Body! 4 Min. Video! FIRST BOOK OF ITS KIND, NOW AVAILABLE! Eat the foods that nourish your health! Makes a delicious hi-pro hot chocolate! The Strong Spirit Self-Empowerment Plan ~ NOW AVAILABLE!!! 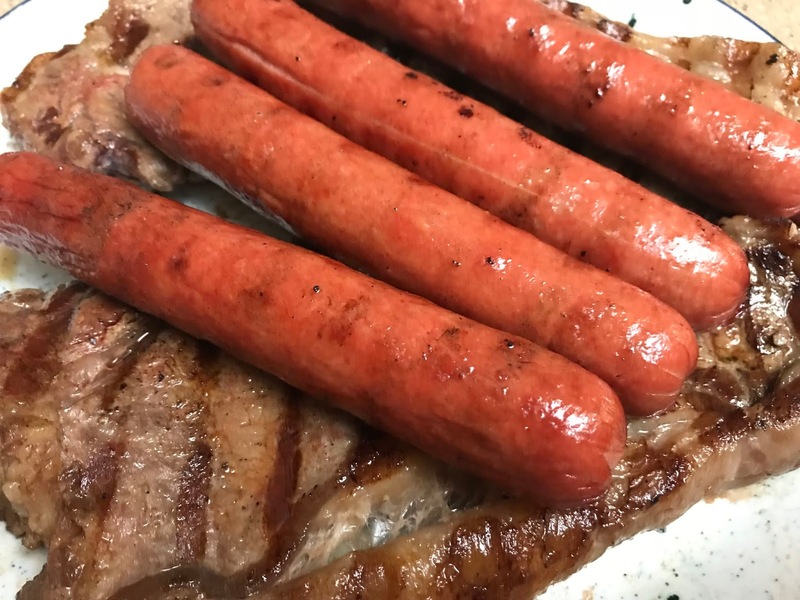 A Keto-Carnivore Diet is Easier Than You Think!